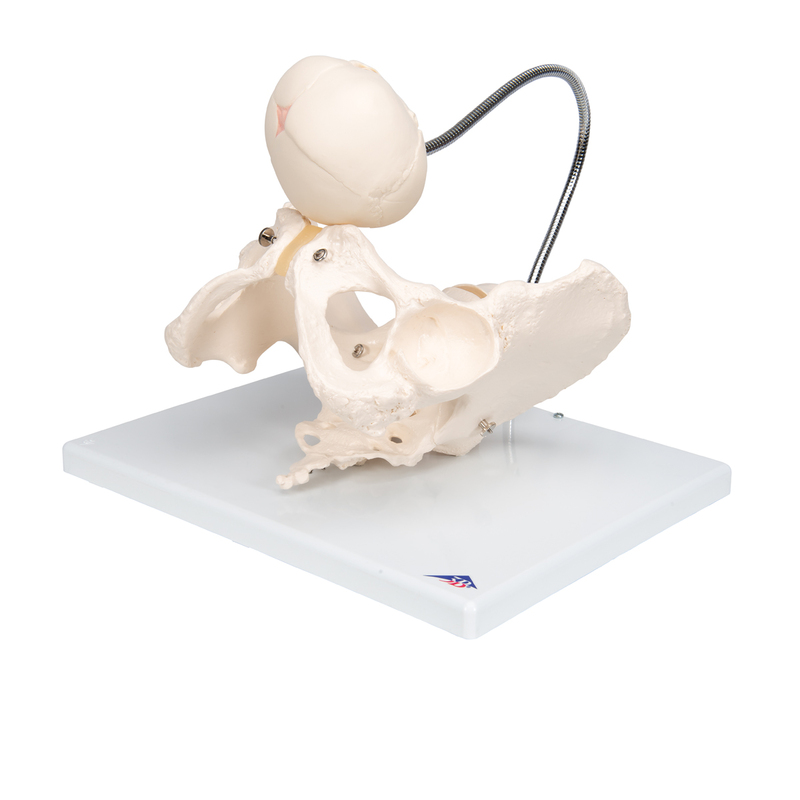 This childbirth model demonstrates the progress of the fetal head through the pelvis during birth. 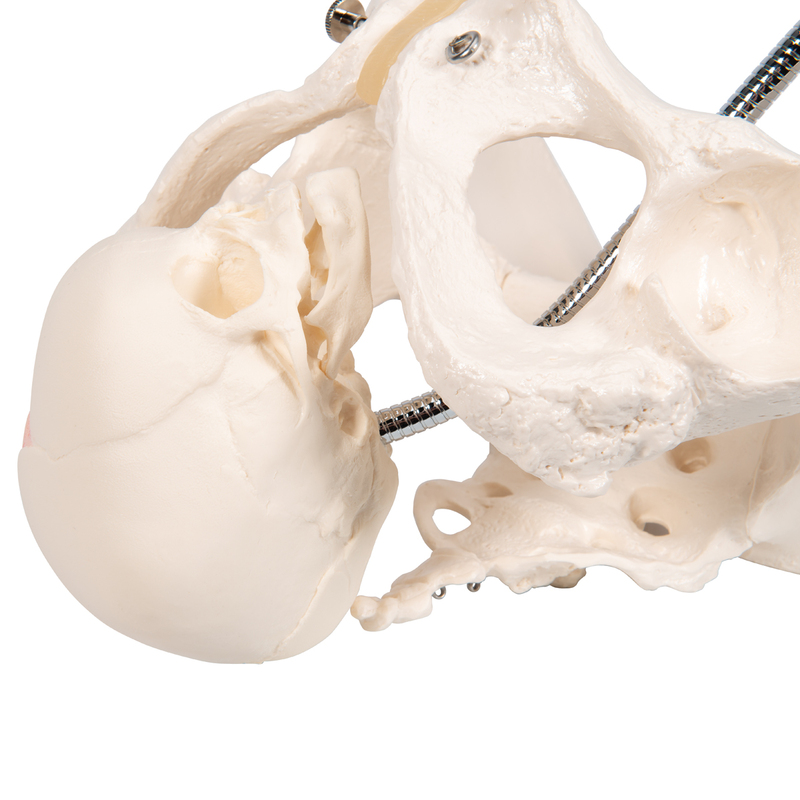 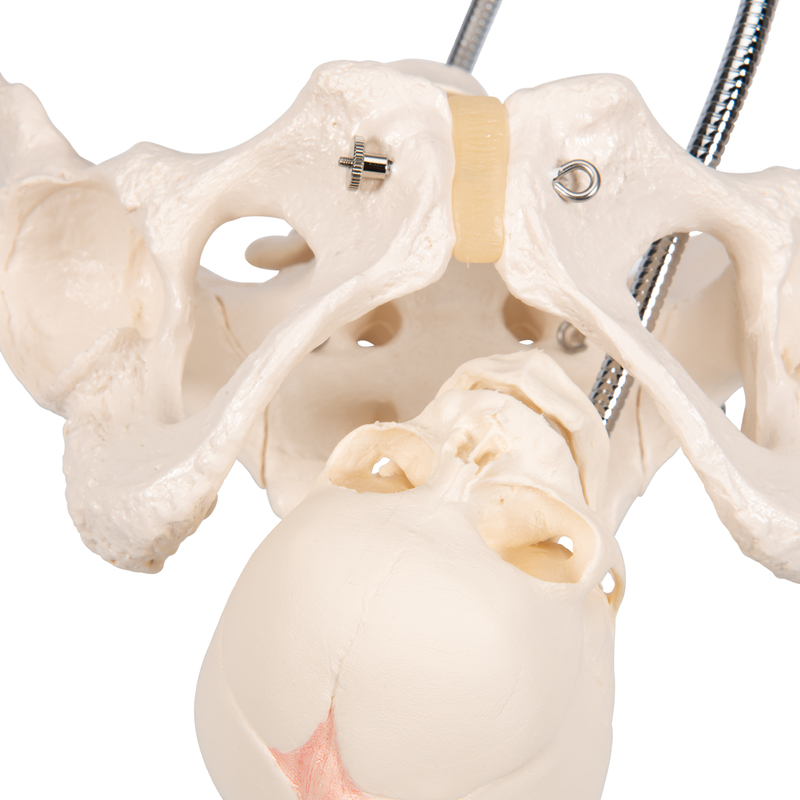 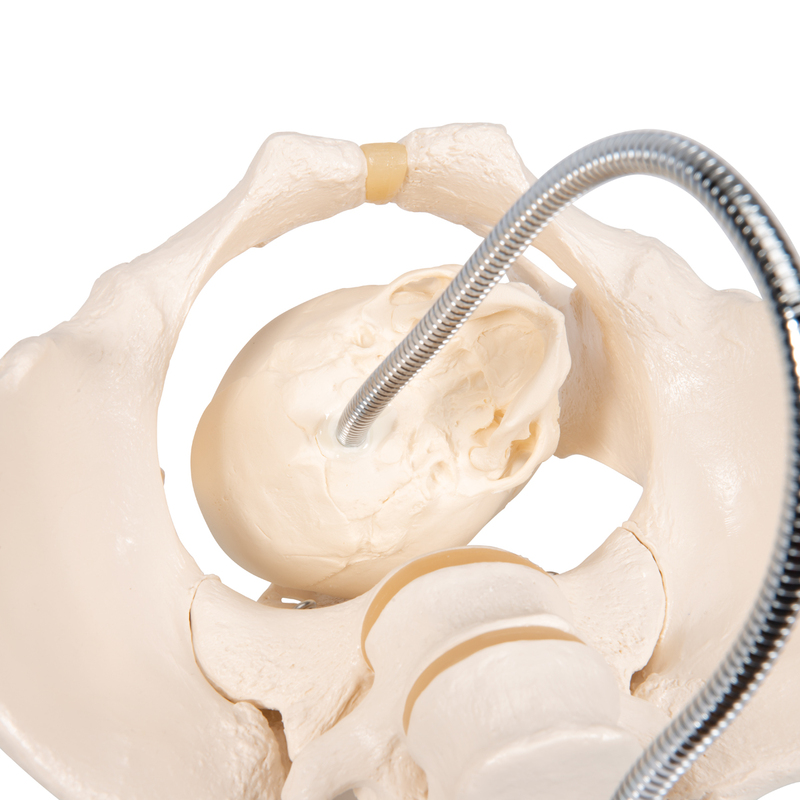 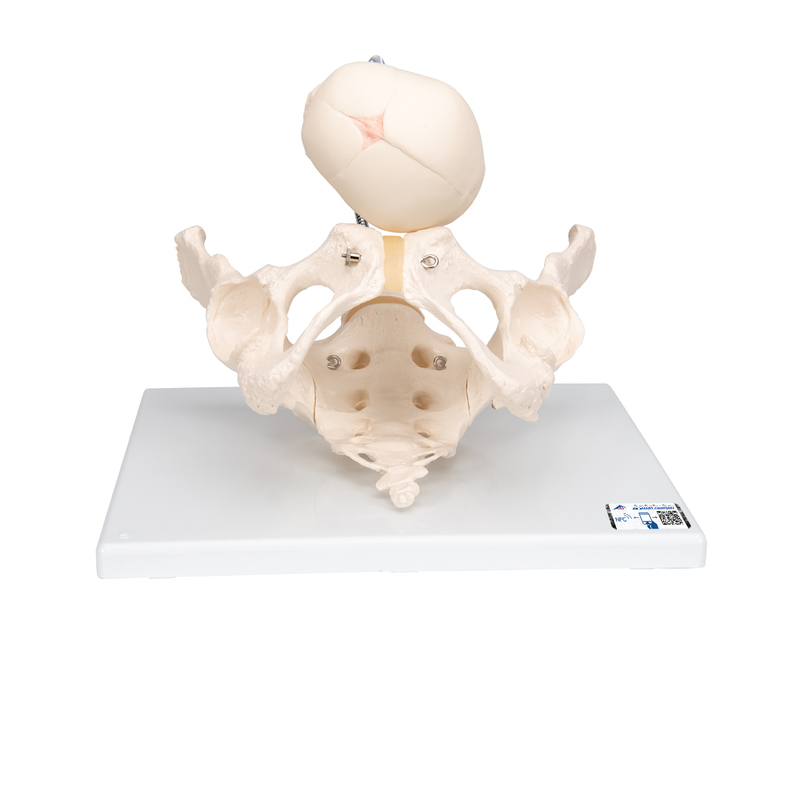 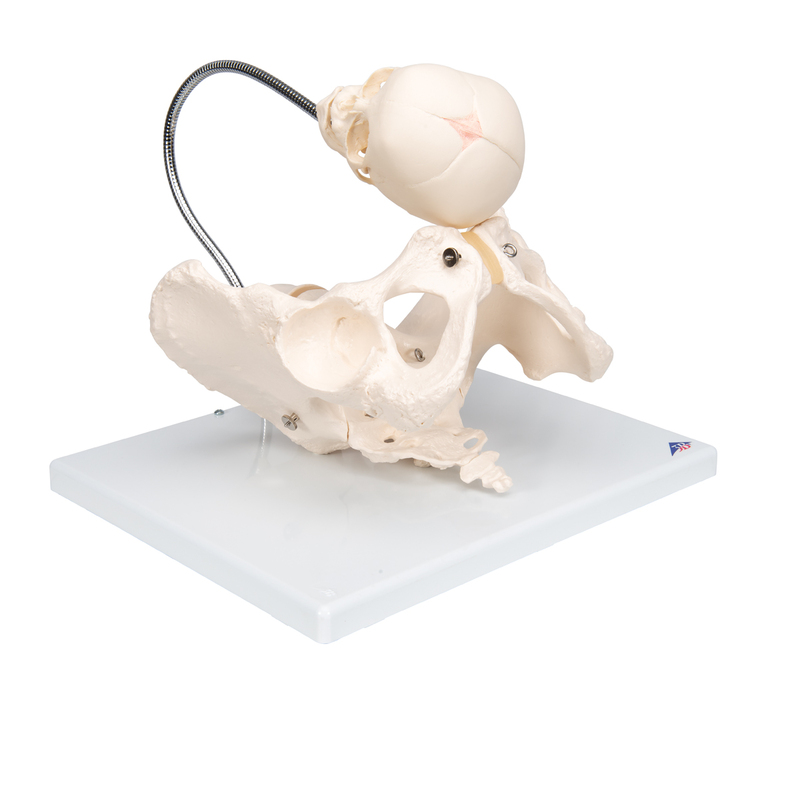 The childbirth demonstration pelvis simulator consists of a female pelvic skeleton with a movable symphysis, hip bone, sacrum, coccyx and 2 lumbar vertebrae articulated to accommodate passage of a fetal skull mounted on an omni positioning flexible gooseneck support. 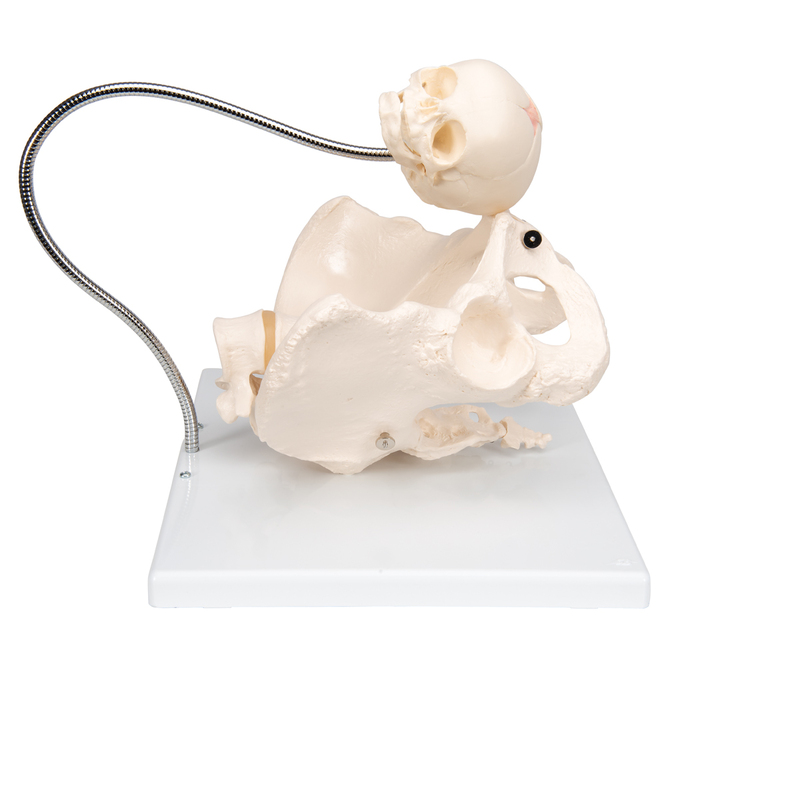 A realistic anatomical replica of the childbirth process. 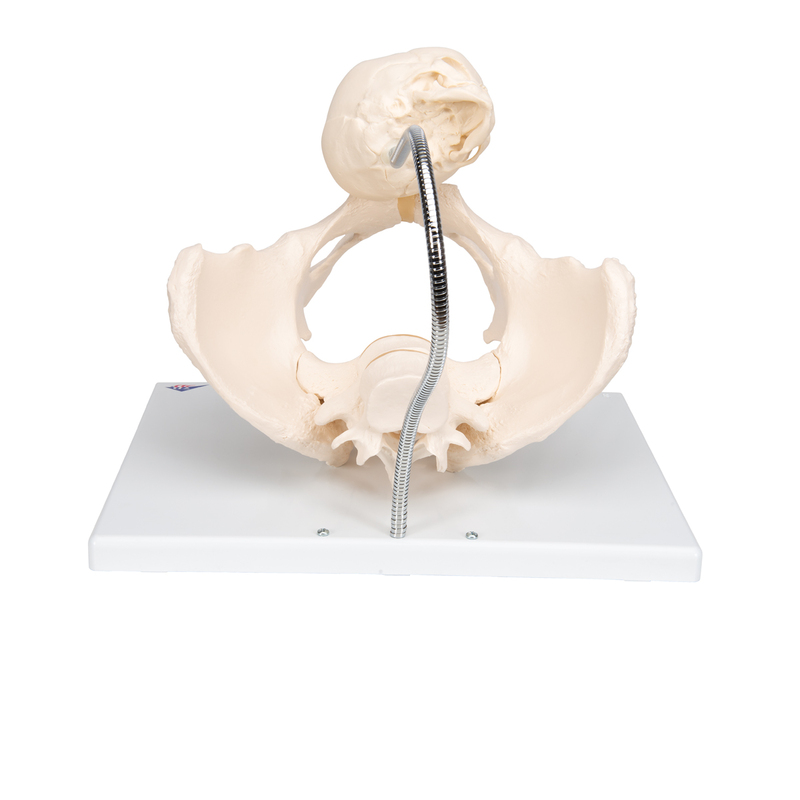 Childbirth pelvis delivered on baseboard.